With this product you can accumulate up to 15 Glitter Points. Provides stability, comfort and cushioning with breathable fabric. 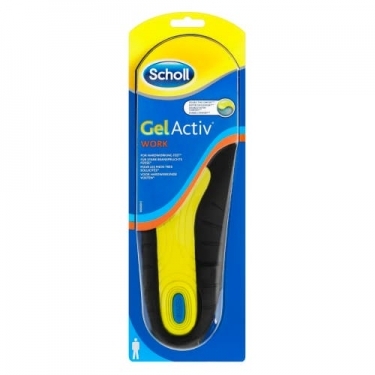 DESCRIPTION: GelActiv Men Work Insoles from Dr. Scholl are insoles that provide gel comfort for any type of footwear. GelActiv technology softens impact when feet come in contact with the floor and supports throughout the day - especially useful if the job involves standing for many hours. Breathable fabric that helps keep feet dry. Replace the insoles when they show signs of wear (recommended every 6 months).